This is now the third and presumably album of an exciting series by three outstanding musicians. The German violinist Isabelle Faust (yes, I’m a big fan, see here or here), the Russian pianist Alexander Melnikov, and the French cellist Jean-Guihen Queyras are all great musicians individually, but get even better when they play together. An excellent example is their recording of some Beethoven Trios on Harmonia Mundi some years ago, and Faust’s and Melnikov’s collaboration on Beethoven’s and Brahms’ violin sonatas are among my absolute favorites (the latter made it as part of my top 5 classical albums in 2015). In this particular project, the three have decided to attack Schumann, and to couple one of his 3 piano trios with one of his orchestral solo works, playing with the Freiburger Barockorchester under Pablo Heras-Casado, on Harmonia Mundi. Faust started, coupling his piano trio with his relatively unknown violin concerto back in early 2015. I really like this album. Some month later Melnikov got his chance to play the famous piano concerto (see my 4 star review here) with piano trio no. 2. So here we are at release no. 3, focusing obviously on the Cello concerto, and the remaining trio no. 1. I expected quite a lot from this album, given that I really liked the two predecessors. However, on the Cello concerto I’m not exactly getting what I expected. Schumann to me is one of the highest points of romanticism. I really like the energy, passion, and drama in his orchestral works. However, both Queyras and Heras-Casado chose a more subdued approach here, and I unfortunately constantly feel I’m missing something. To explain what I mean, let me refer to my two personal reference versions for this concerto, by the legendary Jacqueline du Pré (playing with Daniel Barenboim), and even more, Janos Starker with Antal Dorati and the London Symphony. Do you hear the passion, the power? Maybe I just need to listen to the Queyras version more to get used to it, but so far it just doesn’t pull me in enough. Obviously, we are talking about an excellent soloist (I really like his Bach Cello Suites for example) with a great orchestra, so fundamentally this remains a good recording, it is just not my cup of tea. However, going back to the chamber music, all is well. These three trios, spread over 3 albums, will remain my reference version of these works for a foreseeable future. My rating: 4 stars, averaging 3 stars for the Cello Concerto and 5 stars for the trio. 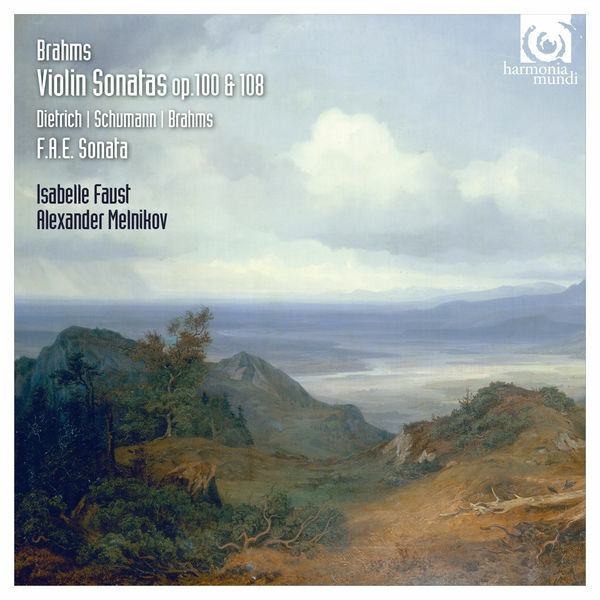 I’ve already praised Isabelle Faust and Alexander Melnikov for their excellent Hindemith chamber album, and the outstanding Brahms violin concerto, but they have done many other beautiful recordings together, including a recent version of the Beethoven Archduke trio with Queyras, or my preferred version of the Beethoven violin sonatas. Queyras is one of our leading cellists these days, and has recently recorded the complete Beethoven cello sonatas (very much worth checking out) with Melnikov. So as you can see, these three play regularly together, and you can hear it. This outstanding trio is now working for the second time together (hence the “2” on the cover) on their Schumann trilogy. This trilogy is twofold: it combines in each volume one of the three Schumann Piano Trios, and one of the three solo concertos (violin, piano, cello) he wrote, in collaboration with the Freiburger Barockorchester (which I usually like very much, although I was disappointed this week by their latest Bach release) under the young Spanish conductor Pablo Heras-Casado. The series started with Faust playing the little known violin concerto (Clara Schumann even actively suppressed it, deeming it not worth of her husband’s legacy), which is very much worth checking out, and is now moving to the warhorse of the a-minor piano concerto. This beautiful romantic work is one of the most recorded and best known piano concertos out there, and so you have literally hundreds of recordings to chose from, including some outstanding ones. Among my favorites you’ll find Dinu Lipatti with the young Herbert von Karajan, or Radu Lupu with André Previn. However, I haven’t yet heard this romantic concerto on period instruments. The Freiburger Barockorchester, as their name indicates, are focused on HIP (historically informed) performance, and even more interesting, Melnikov plays on a 1837 Erard, which really gives the work a different color. I’m sure Schumann would have loved a modern Steinway, but it is interesting to hear how this sounded when it was composed. However, period instruments are not a goal in itself. The performance has to match. And here I’m a bit torn. I love the way movements 1 and 2 are handled, but the third movement, while powerful, is just too slow,. which takes too much energy away for me. I wonder whether this choice was driven by Melnikov or Heras-Casado. In any case, it was clearly a very conscious choice. The overall movement takes 12:14, by far the longest I have in the 10+ versions in my library(as a comparison, my beloved Lipatti/Karajan took 10:01), and even the recent Pires/Gardiner recording I didn’t particularly like (review here) was only 11:04. That said, overall this concerto is still a real pleasure, and while it may not become my reference version, it is a very interesting alternative, to hear Schumann’s most famous work like you’ve never heard it before. 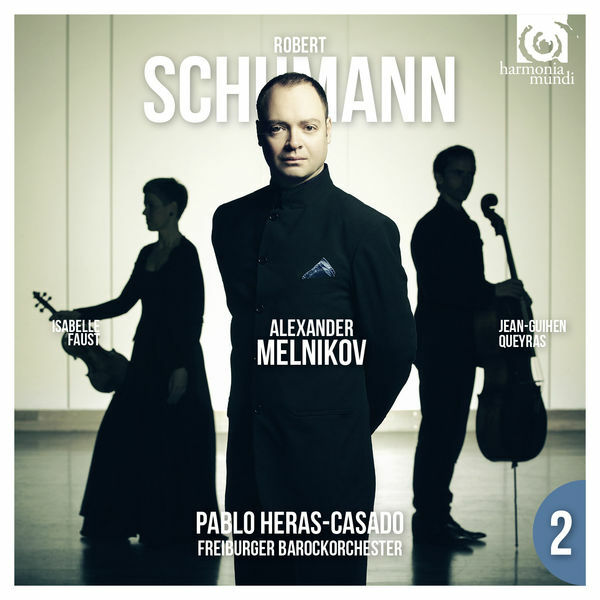 In any case, when you get to the trio, all is well, Melnikov, Faust, and Queyras play together as beautiful as ever, and this relatively unknown Schumann chamber work really shines. I’m really looking forward to vol. 3 with Queyras playing the Cello concerto. Overall rating: 4 stars (FYI, the reviews I’ve seen so far are divided, Gramophone loved it (Editor’s choice), the Guardian’s Kate Molleson didn’t like it very much with 3 stars), you really need to make up your own mind. It is absolutely worth checking out. Sometimes there are albums coming out where just looking at the artists involved you really anticipate something great. 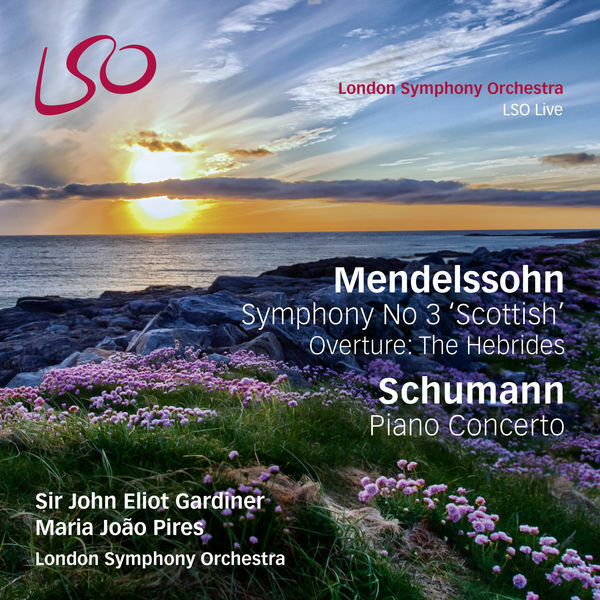 So when I read about this album of Maria João Pires playing the Schumann piano concerto together with the LSO conducted by Gardiner, I was really looking forward to hearing this. A beautiful pairing as well with Mendelssohn’s Scottish symphony that I really like. Pires plays fantastic Mozart and Chopin (e.g. her Nocturnes are just beautiful), and I’m a big fan of Gardiner not only for his Bach cantatas, but also for his symphony recordings with the ORR. And obviously, the London Symphony is a great orchestra. So all the stars are aligned. On top this album has received a Gramophone Editor’s Choice, plus some other great reviews. And then I start listening (luckily I went for streaming first instead of just immediately buying), and can’t help to think I must have clicked on the wrong album. The Schumann piano concerto is just plain boring! Total lack of passion and energy. And a perceived speed that feels way too slow. Then I check, and it is really Gardiner and Pires playing here. How could this go wrong? You have plenty of other alternatives here, go for Radu Lupu, Dino Lipatti (a disc to convert Karajan haters by the way), Andsnes again, etc. etc. etc. But I don’t give up and check the Scottish symphony. Again, I can’t believe my ears. At best, an average performance. The worst is the forth movement which feels plump, and on some occasions (this is a live recording) the LSO even sounds out of sync. This is not the brilliant Gardiner of Schumann’s 4th with the ORR, this is somebody else entirely. For Mendelssohn, I’d recommend you rather go with Abbado, or Christoph von Dohnanyi. No idea what the guys at Gramophone heard here. I just don’t get it.